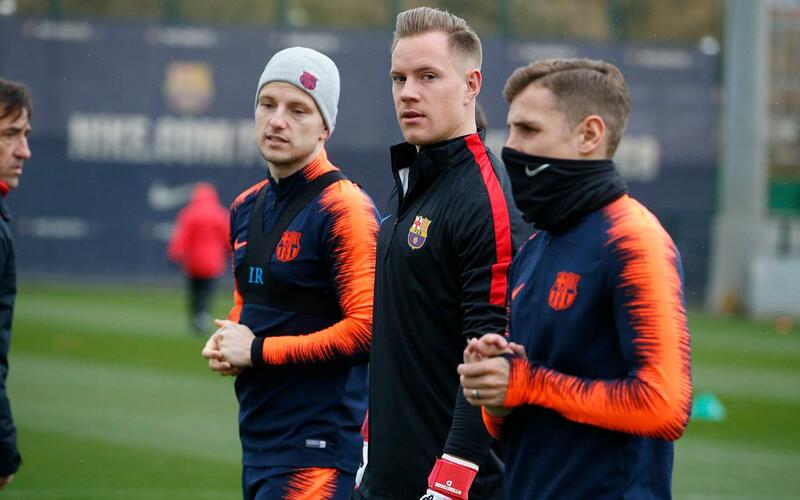 Seventeen hours after their scoreless draw with Getafe at Camp Nou, Ernesto Valverde and Barça were back at the team’s training center to begin the week. While Sunday afternoon’s starters did recovery work, the remainder of the team and a handful of Barça B players — Adrián Ortolá, Rodrigo Tarín, Marc Cardona, Ballou Jean-Yves Tabla, Marcus McGuane, and Jorge Cuenca — trained as normal. Barça’s French striker, Ousmane Dembélé, had an upset stomach and did not train. With no midweek match on the schedule this week, Monday’s workout will be followed by two rest days. The team then returns on Thursday to begin preparing for Saturday’s match at Eibar. Kickoff is at 4.15pm CET.